As a driver, you trust your car and expect it start when you turn the key in the ignition. Say it doesn’t start though? Suppose the engine turns over but fails to fire, how inconvenient and annoying would this be? You rely on your car, and it relies on a series of mechanical and electrical components, working in harmony with one another to run efficiently. If any of these fail, you’re in big trouble and could be facing an unexpected garage bill due to an annoying engine problem. With proper maintenance, you reduce the chances of breaking down in your car and minimise the risk of needing expensive repairs. Breaking down is a pain. With that in mind, we have created this detailed guide to common engine problems. 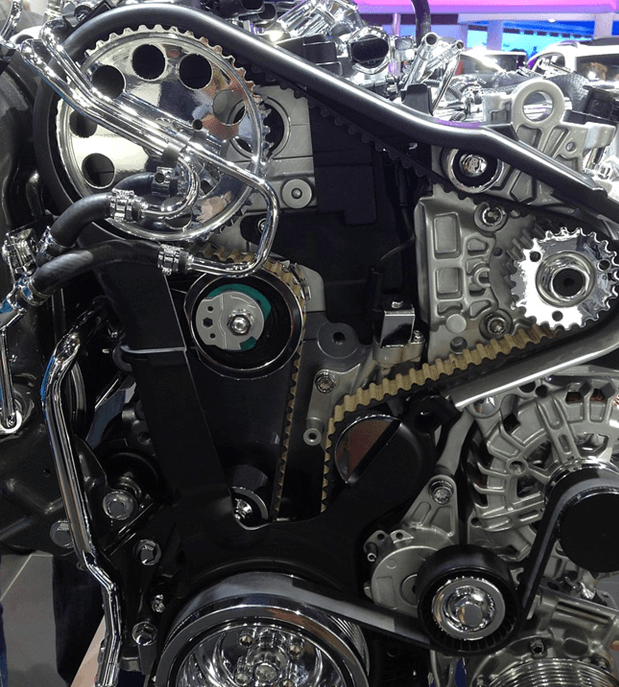 Knowing the widespread problems associated with engines might get you out of a fix one day. Engines overheat from time to time and this can be attributed to a number of reasons. In many cases, this is due to a low coolant level, which simply needs topping up in the reservoir bottle within the engine compartment. However, there are other reasons an engine might overheat, and if this continues to happen it can have serious consequences by damaging the engine. You will know if your car is overheating. Steam and vapour will pour out from under the bonnet, and the dashboard temperature gauge will start to rise. 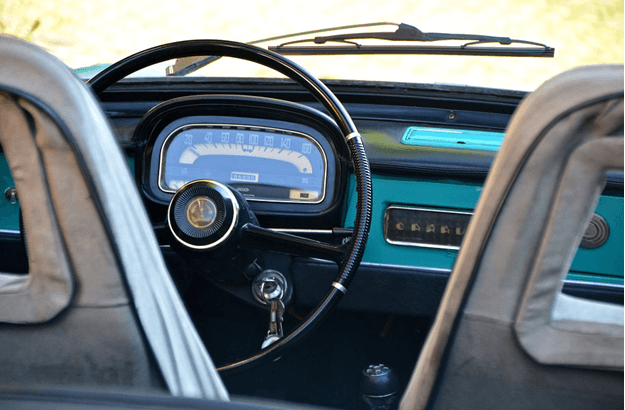 In a modern car, you might be given an electronic warning in the guise of a digital readout on the dashboard, and there might be an unpleasant smell drifting through the air vents into the passenger area of the car. If your car overheats, book it into your local Bosch service centre and ask a trained mechanic to take a closer look at it. They will be able to diagnose the problem, tell you what parts are required to fix the issue, and give you a detailed quote so you know exactly how much the repair bill is going to cost. Drive a car that is overheating and it could cause additional damage to the engine, so always try to stop as soon as it’s safe to do so and get the vehicle recovered if at all possible. Technically, you can still drive the car a short distance if it starts to overheat in an emergency, and there are certain measures you can take to try to cool the engine down a little. Start by turning the air conditioning off if you have this fitted to the car. Air conditioners work by the means of a compressor which in turn takes its power from the engine. By turning the air conditioning off, you take this additional load off the engine so it doesn’t have to work as hard. Next, turn the heater up to full. The heater contains a core with its own fan, and this will draw heat away from the engine and into the main cabin of the car. Roll the windows down if you need to. Depending on the time of the year, and the outside and interior temperature, the cabin of the car might get a little stuffy if you don’t. Finally, pull over when possible and shut the engine off. Let the engine cool down for a while before you open the bonnet to let it cool further. You can then look for any obvious signs which might have caused the car to overheat, such as coolant leaking onto the floor from a defective hose or busted radiator. A word of warning! Do not attempt to remove the radiator cap when the engine is still hot. This is a pressurised system and scolding hot water might erupt from the radiator and give you a very nasty burn. If the car has lost all of its coolant, call your breakdown service provider, or get in touch with your regular Bosch service centre to have the vehicle recovered. We’re going to look at each one of these in greater detail to help you understand why your engine might not start. You’ll know straight away if there’s a battery issue with your car. It might have a lazy turnover, the dashboard and interior lights will be dim, or the battery will simply click when you try to turn the motor over, and the engine will not fire. Car batteries run flat if you leave the headlights or interior lights on, or keep items such as in-car DVD players switched on when the engine is turned off. If the battery is flat, it might be possible to jump start the car using a set of booster cables attached to another vehicle. 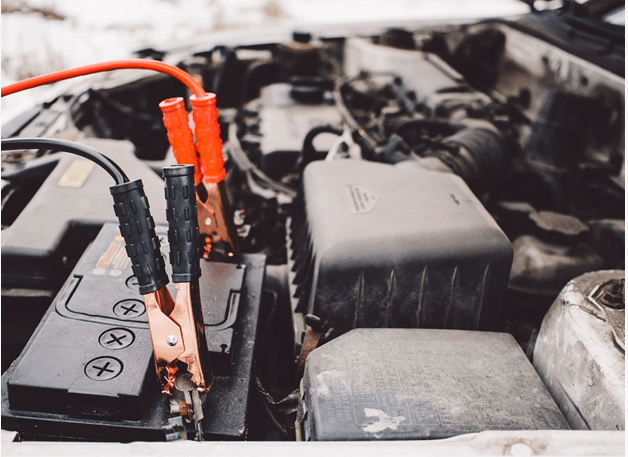 However, if the battery is faulty and you have trouble starting the car due to a defective battery on a regular basis, it’s time to replace the unit. Get the battery tested at your local garage to see if it is holding its charge. You can always have a new battery fitted if you find this to be the case that comes with a comprehensive warranty. Battery issues can also be linked to poor connections at the terminals. When your car is a ‘lazy’ starter, check the positive and negative terminals, look for signs of loose connections and tighten these where necessary. Older batteries can also suffer from obvious signs of corrosion on the battery terminals, and they might require a clean. A simple but effective way of doing this is to mix a tablespoon of baking soda with a pint of water, clean the terminals with the mixture using an old toothbrush, and rinse off with fresh water before drying with a rag. A good tip is to grease the terminals once they have been cleaned to protect them and encourage good battery health. If the symptoms keep reappearing, especially on the negative terminal, this could indicate the battery is under charging. Then again, if you spot repeated signs of corrosion on the positive terminal, the battery is likely to be overcharging. Keep checking your battery and clean the battery terminals every six months or so. Should you prefer, ask your local independent garage to do this for you as part of your routine maintenance plan. These are just some of the signs that all is not well with your fuel pump. Whenever your car starts to behave erratically, and it has some or all of these symptoms, ask your friendly mechanic to test the health and the life of the fuel pump. It’s a good idea to see if it needs to be replaced before it packs in on you all together. 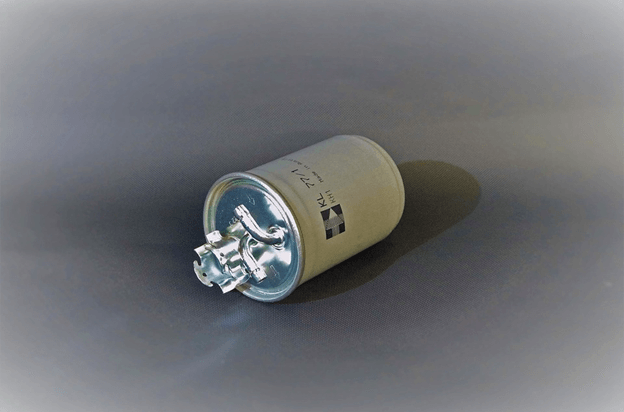 Fuel filters should be replaced as per your manufacturer’s recommendations for the mileage of the vehicle. Recognising the symptoms of a faulty fuel filter will ensure you are never left stranded at the side of the road. Again, if you experience any of these problems with your car and you think it could be the fuel injectors or any type of fuel starvation issue, book your car into your regular Bosch service centre to get it checked over. Sometimes a car will fail to start if there is an issue with the ignition switch. Turn the key in the ignition and if nothing happens, this could warrant further investigation. Normally, ignition switches fail due to wear and tear as the vehicle gets older. Thankfully, this part is easy to replace and it’s something you can arrange to have done at any reputable vehicle workshop. In particular, if you notice smoke emitting from the engine bay when you try to start your car, this could be a sign the starter motor is working but not shutting off once the engine has fired into life. Try not to panic if this is the case. There might be something simple wrong with the starter, such as blown fuse or a circuit shortage. One thing you need to do is to get this looked at as soon as possible. Although starter motors can sometimes be repaired, it is often more cost-effective to replace the faulty unit to safeguard against future issues. A quick voltage reading will highlight if the alternator is faulty and tell you how much voltage the unit is putting out. You can have this done at any garage where a mechanic will run a diagnostic on the alternator and give you an estimate for the repair or replacement of the unit. A smoky engine is telling you something. When the engine starts to smoke there’s something not quite right and this needs further investigation. Engine smoke can be blue, grey, black or white. Depending on the cause of the problem, the colour of the smoke will be a good indicator. When your engine emits blue smoke from the exhaust, this is usually a sign that your car is burning oil. In most cases, oil is leaking somewhere within the combustion chamber, and the valve guide seals or possibly the piston rings have become worn, and need to be replaced. On turbocharged cars, blue engine smoke can sometimes indicate the turbo needs attention, it will either need to be repaired, or a replacement might be required. Slightly more difficult to diagnose, grey engine smoke can have a number of meanings. In some cases, this can also be the sign of the car burning oil or having a faulty turbocharger. There could be an issue with transmission fluid burning up inside the engine or a fault with the transmission vacuum modulator. Sometimes, a positive crankcase ventilation (PCP) valve has stuck and needs attention by a mechanic as soon as possible. Thin, wispy vapours or white smoke can sometimes be a build-up of condensation in the exhaust system and they are nothing to worry about. However, thicker plumes of white smoke are more sinister and should be investigated as soon as possible. 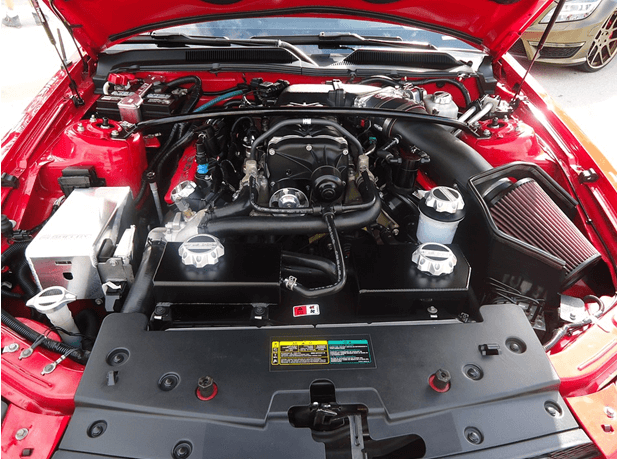 In the most serious cases, the engine might be burning coolant caused by a cracked engine block, a blown head gasket, or some type of damage to the cylinder head. Overfilling the engine with oil can also cause white smoke to pour out of the tailpipe. Learn how to fill your car with the correct amount of oil to avoid this. Dirty black smoke from the exhaust could be caused by something as simple as a clogged air filter, but it can also be more serious too. This might indicate faulty fuel injectors, sensors, or some type of issue with the fuel pressure regulator. Black smoke is usually a sign that your engine is burning an excess of fuel, but it also one of the easiest smoke-related problems to fix. 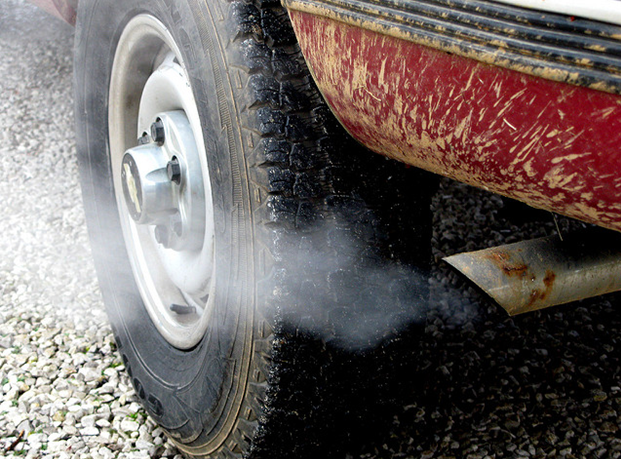 Any sign of smoke coming from your car’s exhaust should be explored further. Arrange to have it looked at by a qualified mechanic to prevent further complications and harmful damage to the environment. Unusual noises coming from the engine bay are a strong signifier that something isn’t right with your car. These can be classified in different categories covering squealing, knocking, pinging and ticking, there might be pops, clicks and all types of unnatural noise. One thing is for sure, strange noises aren’t a healthy sign, so under no circumstances ignore them as things are only likely to get worse. When you hear squealing or screeching noises coming from your engine this normally signifies you have a problem with one of the drive belts. Either the fan or the auxiliary belt might be slipping, cracked or corroded, but worn pulleys could also be causing the belt to slip. In some instances, the water pump could be to blame, putting extra strain on the belt. If the squealing noise is accompanied by a rise in engine temperature and water loss, the water pump might have failed and needs replacing with a new unit. Persistent squealing sounds should be investigated as soon as possible and a quick trip to your local garage will highlight the cause of the problem. If the issue is something as simple as a loose belt and you know a friendly mechanic, they might just tighten it whilst you wait. Worrying knocking noises from the engine could indicate a number of things. Also known as pinging, knocks from the engine are usually the result of a bad fuel mix, a build-up of carbon deposits, or they can also be caused by fitting the wrong spark plugs, having spark plugs that are old and need replacing, or simply need the plug gap adjusted. If the engine has the wrong air-fuel mix, this also creates a distinctive knocking sound. Moreover, if you put fuel in the car that has the wrong octane rating for this type of vehicle, you might also hear a knocking noise, which is more likely to occur in older types of engines. You’re right to be concerned about knocking noises coming from the engine. As soon as you notice this, monitor it for a short while and if the problem persists, arrange to have your vehicle inspected as quickly as you can. Sometimes an engine makes a peculiar ticking or clicking noise. This might be due to something simple such as low oil, take the time to check this and top up if necessary, or ask somebody to do this for you if you don’t feel confident enough. The valve train is another area to explore if you notice a loud ticking noise. For the valve train to be totally effective there needs to be just the right clearance between the rocker arm and the camshaft, with oil pressure operating the hydraulic valve lifters. Any play between the lifters and the valve train will create a noticeable clicking or tapping noise, and there’s a good chance the valves might need adjusting. Hear a whining noise whilst driving and there’s a strong possibility there could be a problem with your car’s power steering pump, or quite possibly, the power steering fluid is a little low and needs topping up. Whining can also be caused by differential or transmission wear, or one of the wheel bearings might be worn and responsible for creating the noise, which gets louder as you accelerate. When your car whines, it’s telling you it needs attention from a professional vehicle repair workshop. If you’re not sure where the noise is coming from, take it to a mechanic and let them run a few tests to pinpoint the problem. Rattling from underneath the car could indicate a loose exhaust bracket or a heat shield that has worked itself loose and needs repairing or replacing. When the rattling occurs under the bonnet, this is more serious and needs immediate attention straight away. There are a number of causes for engine rattles, including problems with the idler pulley, air conditioning compressor clutch, or the belt tensioner. More seriously, if the engine starts to rattle and the oil warning light comes on whilst you are driving, pull over as soon as you can safely do so, and shut the engine off. Signs like this could indicate low oil pressure, and there’s a strong possibility the engine isn’t lubricated enough, and could be fatally damaged. Continue to drive the vehicle with the rattle and oil light on and there’s every chance you might cause catastrophic damage, and need a replacement engine. Drive your car regularly and you recognise the usual, ‘healthy’ sounds, but also know when the vehicle starts to make strange noises. If this happens, establish where the noise is coming from, and look for Bosch Car Service garages in your local area where you can take the car for an engine diagnostic. Here at Mercury Cars, our many years of experience in vehicle servicing and repairs ensure we can provide you with comprehensive diagnostics and full repair facilities for any type of engine problems. Our expert technicians complete work quickly and efficiently, to the highest possible standards. If you experience engine problems and need our honest advice straight away, call us on 01277 262 233 or send an email for a FREE quote without obligation to enquiries@mercurycars.co.uk.